We love Scandinavian design and believe there’s a lot to learn from all types of projects that incorporate its warm minimalism. 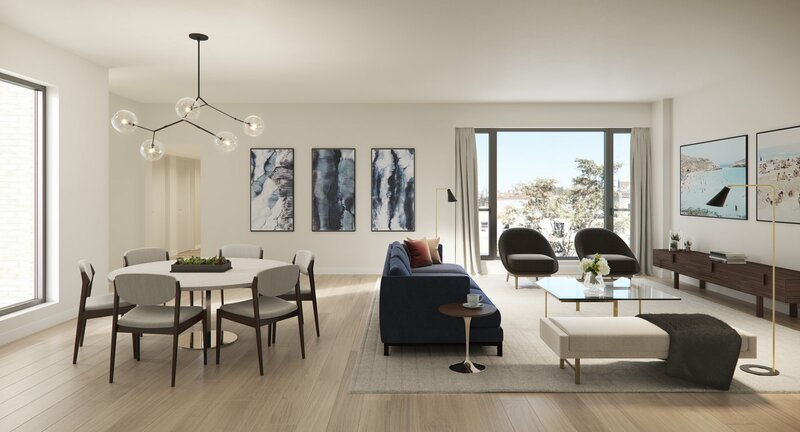 Located in Brooklyn’s Carroll Gardens neighborhood, 145 President was designed and developed by Avery Hall Investments. The company drew much of their inspiration for the interior design from Scandinavian aesthetics. 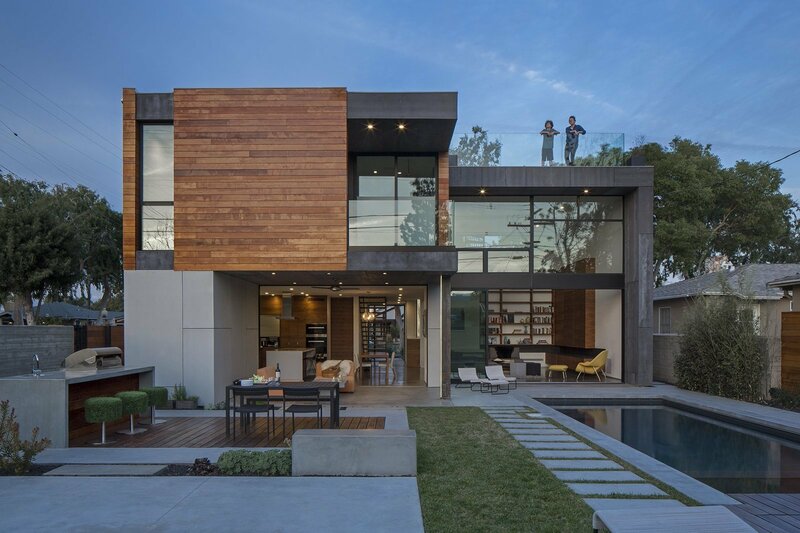 Focusing on a light, muted color palette and natural materials, the designers were able to integrate a sense of the outdoors and create a warm atmosphere throughout each residence. The French door-inspired windows were specifically selected to increase the amount of natural light in each unit. French door-inspired windows open up the space, letting natural light flood into the interiors. Designed by Rios Clementi Hale Studios, Riley Architects, and Integrated Development, Habitat 6 opened in October 2016. The small lot development includes six modern homes that were designed for single families looking for an improved urban living experience. 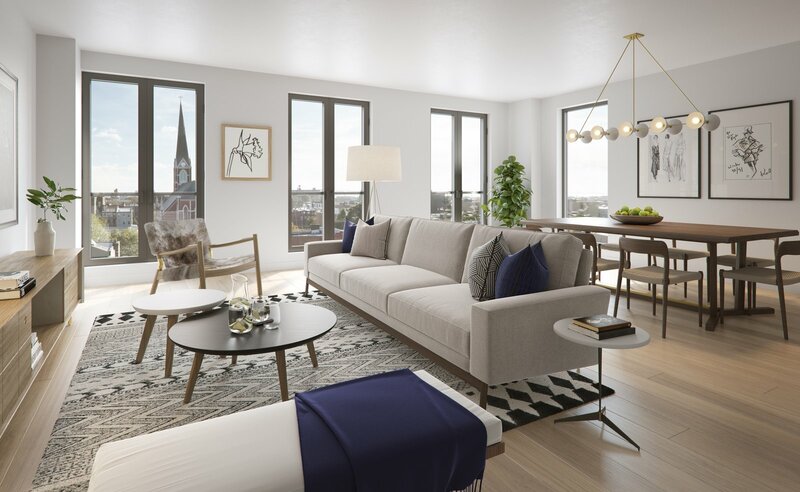 The two-bedroom residences are inspired by Scandinavian design and feature a neutral palette that consists of natural woods, marble, steel, and glass. The natural and warm material palette creates coziness and warmth within the space. 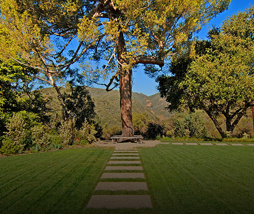 Each residence has its own private ground-level patio and side yard, which you enter through Fleetwood sliding doors. Each home is also directly attached to a two-car garage. 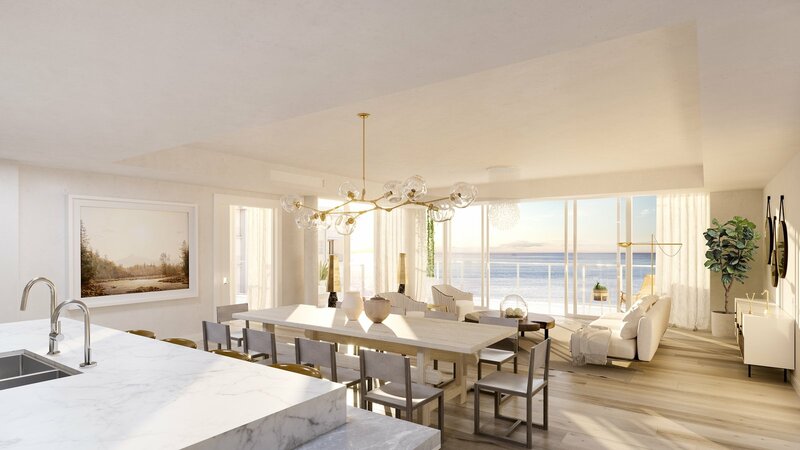 One of the most compelling aspects of 3550 South Ocean is the striking views of Palm Beach, thanks to floor-to-ceiling windows. 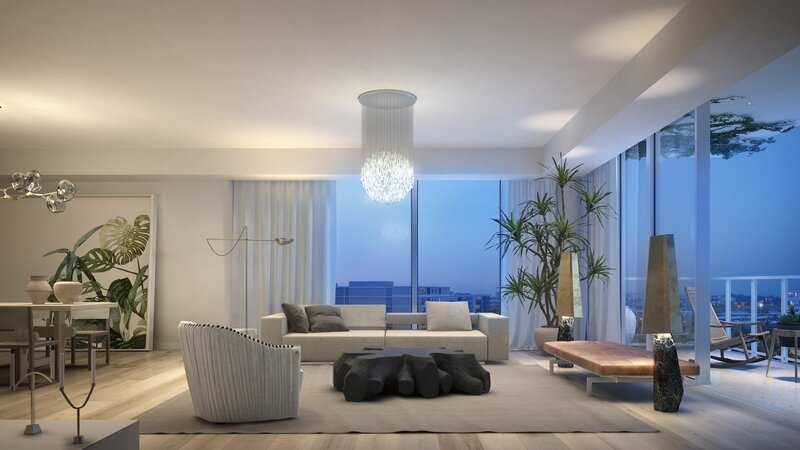 Interior design firm Champalimaud, in collaboration with the design-focused developer DDG, have made the most of natural light, using ocean vistas to blur the lines between the interiors and the exteriors. The clean lines and fresh material palette of light oak and limestone create a bit of Scandinavian style at the beach. 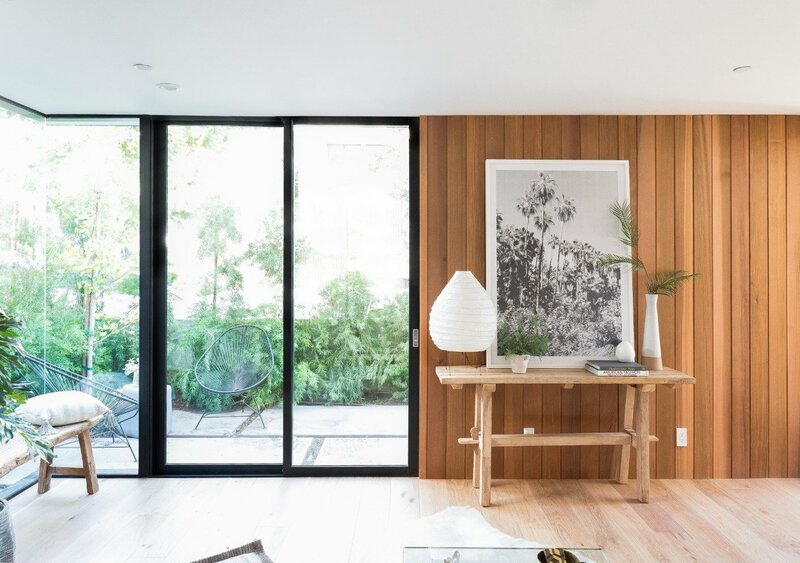 Floor-to-ceiling windows and natural elements bring a sense of the outdoors into the interiors. The recently completed 505 West 19th Street by Danish architect and designer Thomas Juul-Hansen consists of two buildings—one on each side of the High Line—which are connected by a long lobby underneath the elevated park. The project is infused with the hallmarks of Juul-Hansen’s Scandinavian background. In particular, the more boutique “West Tower” is an expression of the designer’s obsession with natural materials, craftsmanship, and minimalist furnishings. 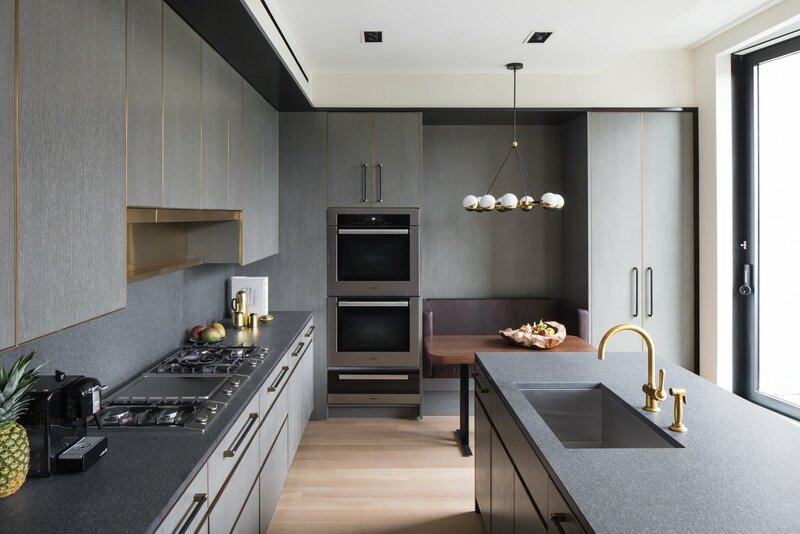 Natural materials are used throughout the units, from the brass trim in the sleek kitchens to the black travertine walls and floors in the powder rooms. Sticking to simple furnishings is important when aiming to bring a Scandinavian vibe into your interiors. Comprised of two buildings built eight years apart (1912 and 1920), 225 Weybosset was originally used for commercial purposes—first housing a pharmacy and then a dance studio. 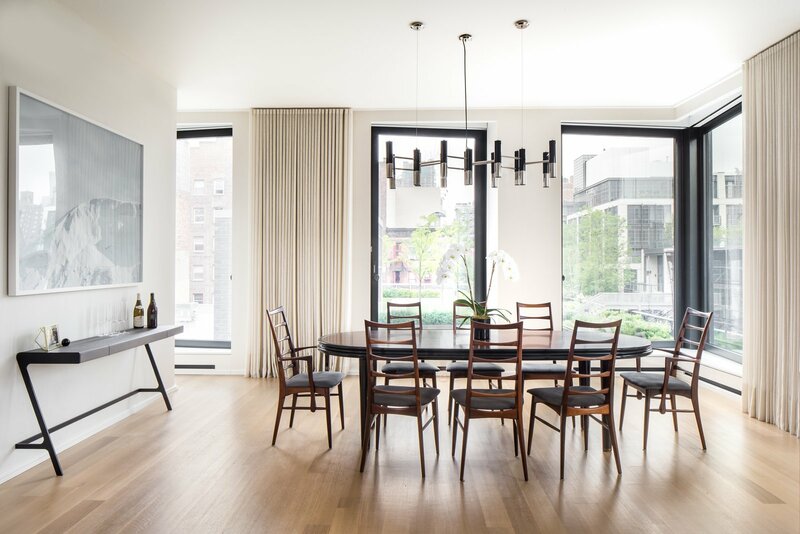 It was recently converted into rental apartments by the New York design and development firm ASH NYC, who introduced a Scandinavian aesthetic into the building’s interiors, infusing the nearly 100-year-old structure with a newfound freshness. 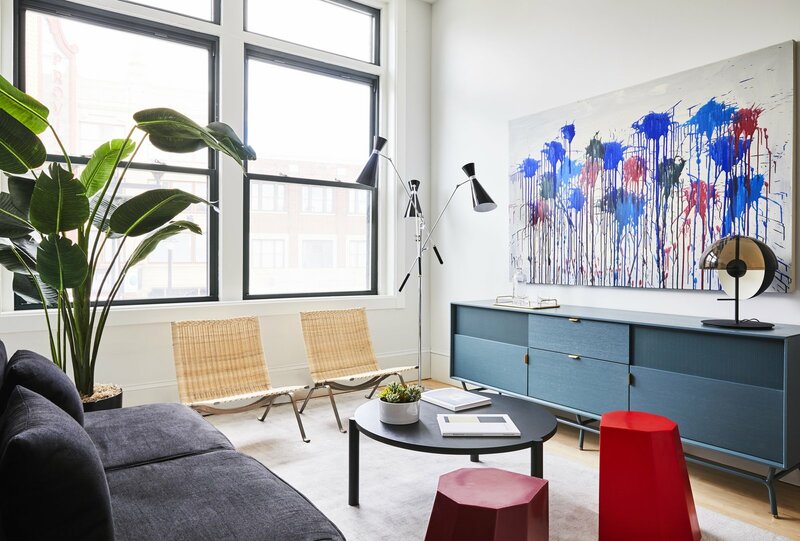 The homes feature a light color palette, a carefully curated selection of contemporary furniture, custom artwork commissioned by ASH, and a few unexpected design elements that add character and Scandinavian style. The pale pink armchairs feature a quirky design and add a subtle pop of color in an otherwise white interior. Bolder statements work as well, like this unexpected incorporation of red. 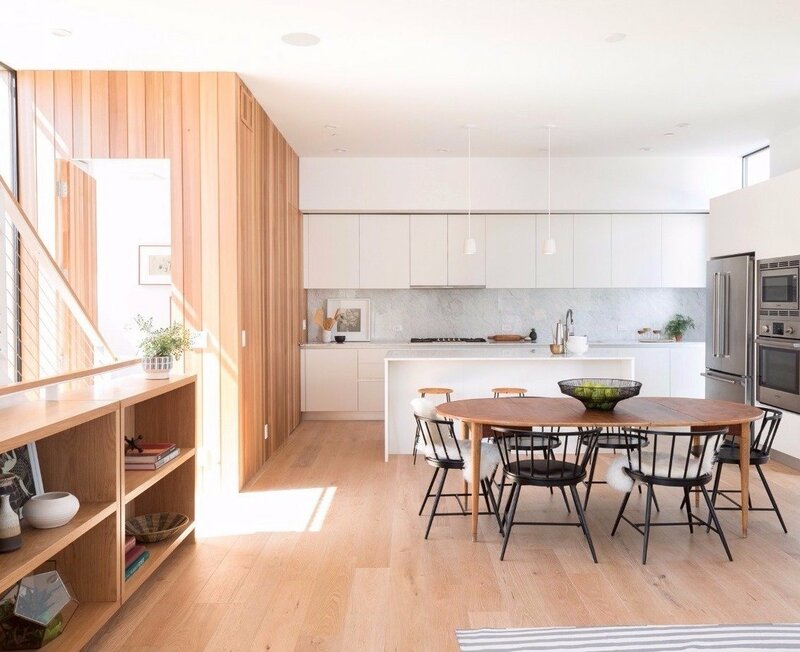 With its main components manufactured in a factory and assembled on-site, prefab homes can cost less to build, offer a higher degree of precision, and have a reduced environmental impact, thanks to minimal construction waste. 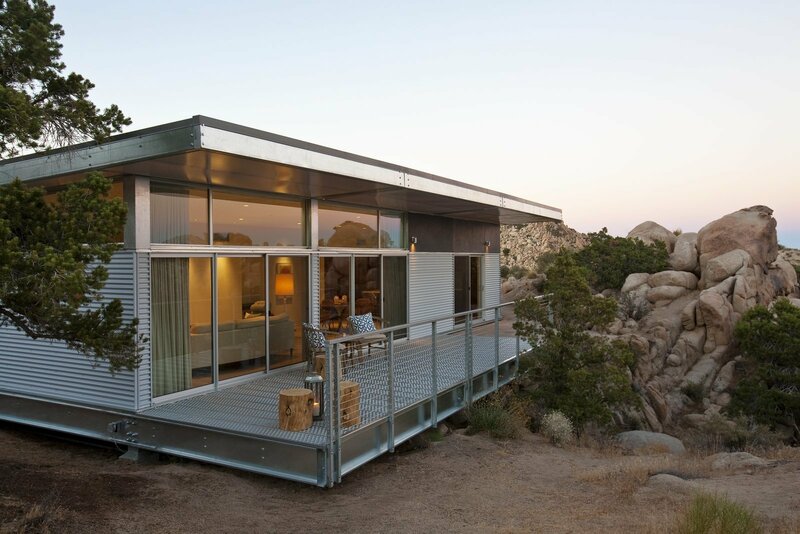 This family home near Joshua Tree National Park was built out of a Bosch aluminum framing system that was assembled with a perforated-steel decking and glass walls to create living wings and a bedroom that are organized around two courtyards. Iceland prefab pioneers Tryggvi Thorsteinsson and Erla Dögg Ingjaldsdóttir of Minarc built this Los Angeles family home with mnmMOD, a customizable, locally manufactured building system of prefabricated panels that the duo designed—which minimizes energy consumption and reduces a home’s carbon footprint. Made with a blend of 30-percent recycled steel and cradle-to-cradle-certified extruded polystyrene, mnmMOD components can be assembled with just a screw gun. 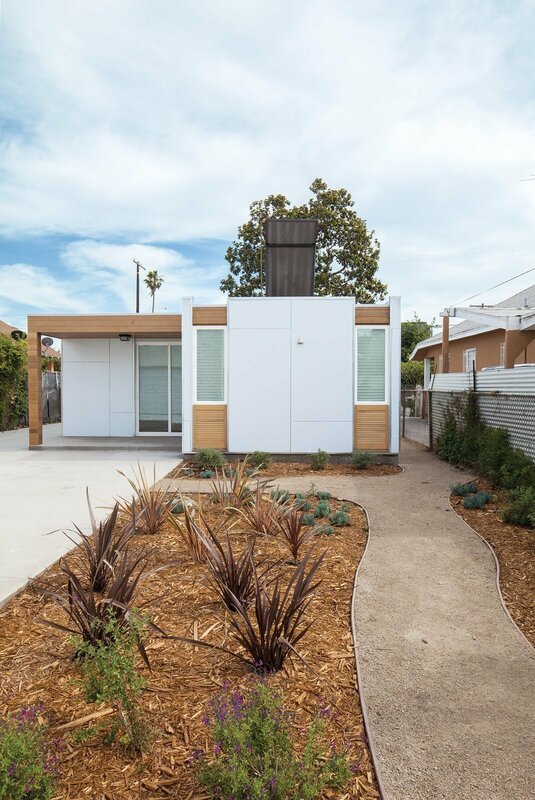 A collaboration between Minarc and Habitat for Humanity, this low-cost, net-zero home in South Central L.A. was built with unembellished cement-board cladding and Minarc’s signature mnmMOD panels. 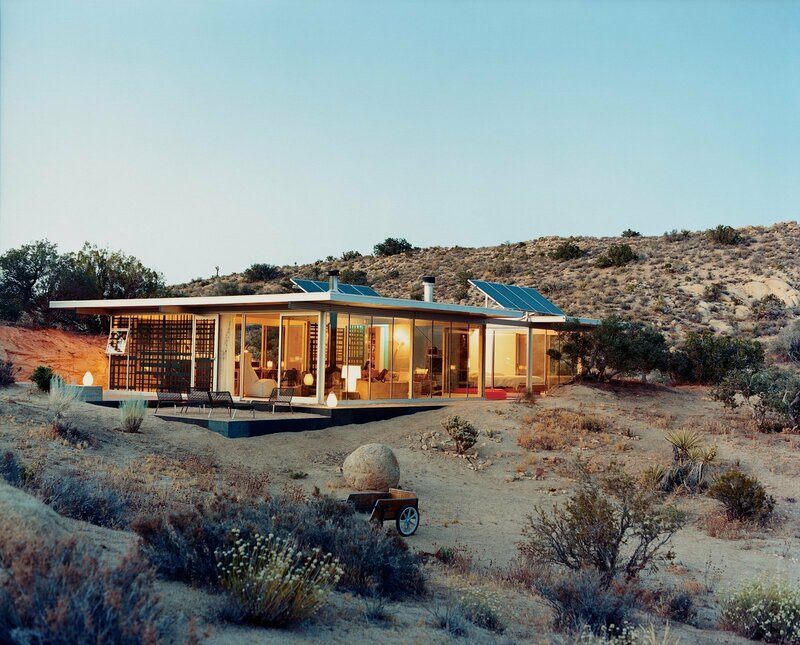 A light-gauge frame made with 70-percent recycled steel helps this prefab rest lightly on its site, resulting in a minimal disruption to the natural desert landscape. 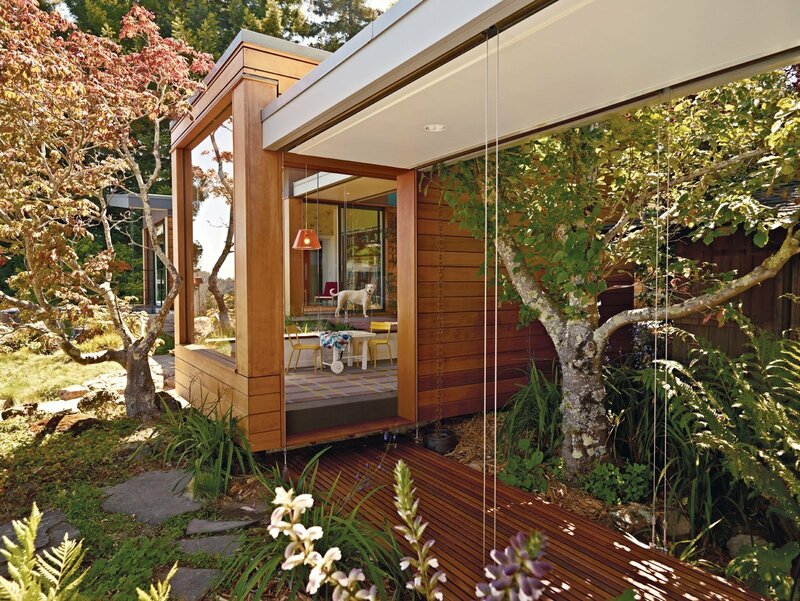 A 1950s Joseph Esherick home in Berkeley, California, was updated by its owners in 2009 to include a new Japanese-inspired pavilion composed of two prefabricated, off-center volumes beneath a butterfly roof that’s half-clad with solar panels. 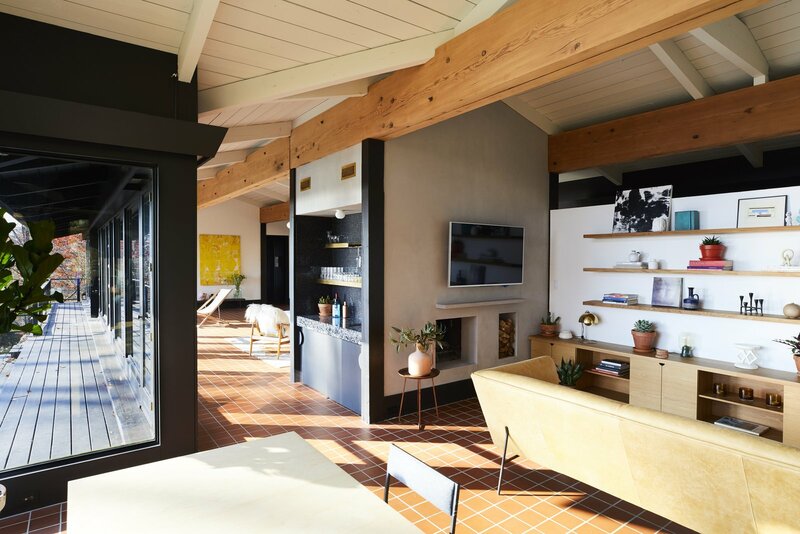 By combining a prefabricated, recycled-steel superstructure with concrete walls and insulated metal panels, architects Pamela and Hector Magnus built this charcoal-hued house with expansive second-floor windows. Built using a hybrid system, this modernist Palm Springs home has a core of concrete walls and floors that were built in just two months. Prefabricated, lightweight-steel beams and exterior walls were trucked to the site afterwards. High on the east bank of New York’s Hudson River, a special midcentury home receives a stunning renovation inspired by the strength of its initial design. 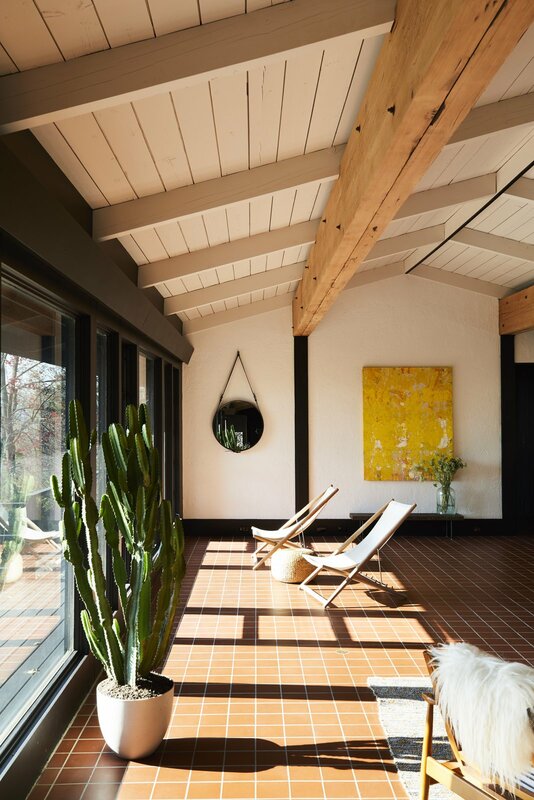 Originally designed by Roberta Thrun, one of the first women to graduate with a degree in architecture from Columbia University (and also the client’s grandmother), this well-designed midcentury home built in 1962 always held a strong connection to its natural surroundings. When GRT Architects took on the renovation, they made sure to respect this element of the home, along with its strong and rational design. Guided by the desire to accentuate the home’s founding elements, the design team made color and material choices based on Thrun’s original selections. The interior of the airy home is defined by two monumental 102-foot-long, east-west beams that run the length of the house—carrying the main load of the roof and defining an east-west axis that’s visible from the exterior and from every room. 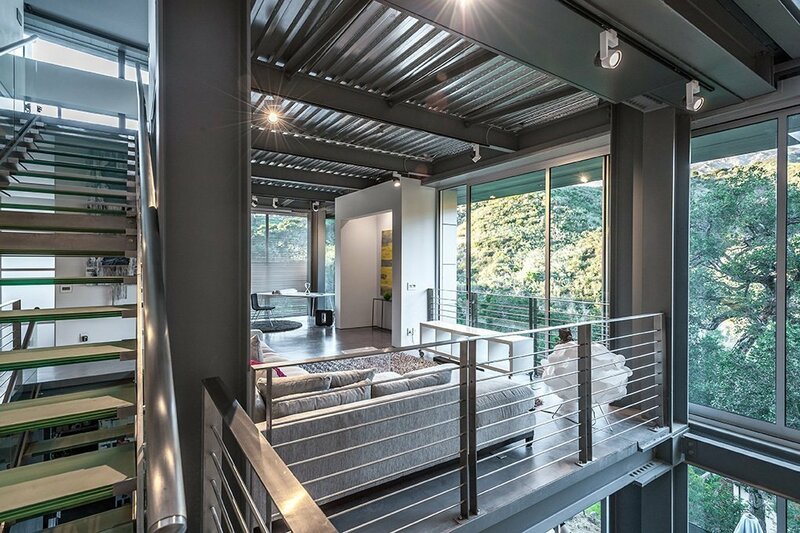 Smaller north-south rafters are expressed similarly, creating a feeling of expansive ceilings. Originally painted dark brown, the interiors were updated with a low-gloss black, while the ceilings were painted white. Only the primary beams that travel the length of the house were left with an exposed natural grain. The gray textured walls were created with a Belgian product called Mortex, which was originally developed for the swimming pool industry. Similar to a thin concrete, it creates a clean and handmade-looking surface texture. It was chosen to highlight the weight of the two fireplaces. 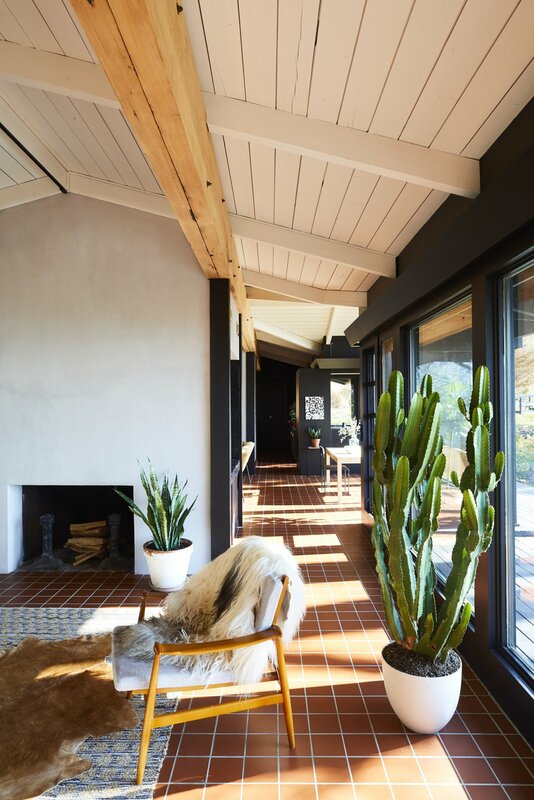 Terra-cotta tiles cover the floor throughout the home, an original design element that helped influence the rest of the material choices in the renovation. 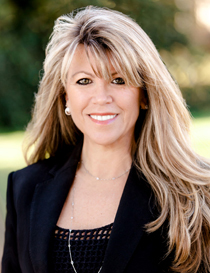 New spaces were designed to be integrated yet recognizable. In the kitchen, breakfast nook, library, and wet bar, colors and materials were updated to create a fresh yet subtle look. The kitchen is the only room that received a slightly altered layout. Wood boards from demolished cabinets were reused to create new cabinet fronts, which are hung on brass piano hinges. The result is a mix of period-appropriate additions and new configurations with recycled parts. Black was a natural choice when it came to updating an already existing wet bar. The brass shelf was laser-cut from a thick brass sheet, which includes a simple geometric pattern as a nod to a classic bar. A sunny nook in the living room. 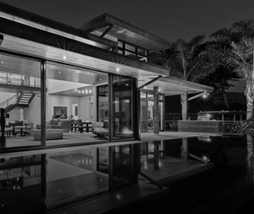 The overhangs were originally designed to prevent direct sunlight from overheating the home through its significant southern exposure. This was a forward-thinking and environmentally responsible passive measure to keep everything cool, especially since the original windows were made with uninsulated glass. Graphic black-and-white cement tile was added in the renovation. Looking south, the home itself recedes into the background. The architecture frames the views across the Hudson towards Manhattan’s skyline and the Tappan Zee bridge. By Jennifer Baum Lagdameo / Published by Dwell – October 31, 2017. Photography by Nicole Franzen.